*Disclaimer - this palette was gifted to me by a friend. 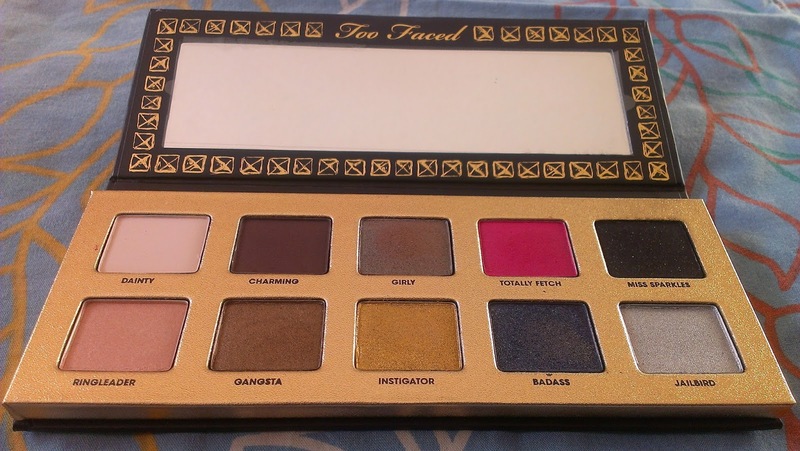 Too Faced - a brand that inevitably reminds me of a Batman villain! 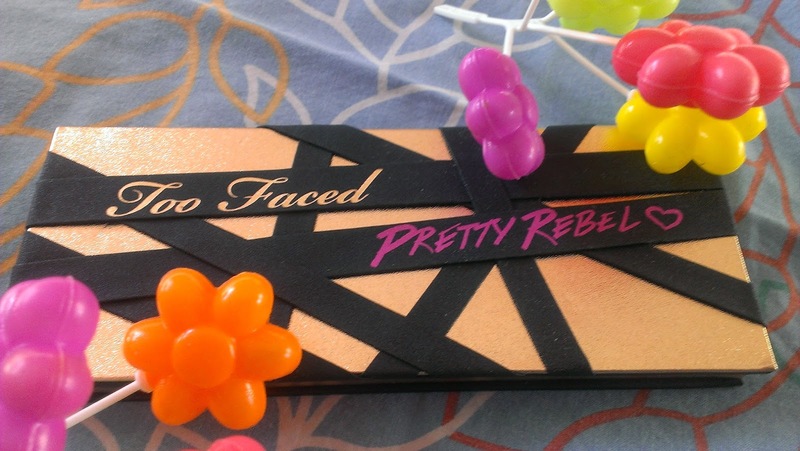 They came out with a limited edition palette called Pretty Rebel a while ago (not really sure if it's actually limited edition, as it's still available!) and the name is intriguing. To be honest this palette isn't something I would have picked out for myself. It has a lot of colored shadows in it, and several cool-toned shades. However, that being said, I rather like it, which is surprising, no? I've been reaching for this palette a lot more than I expected. The packaging is lovely; it's made of cardboard, but fairly sturdy. I would not recommend dropping it - I don't think it'll stand the impact. It will travel well, but you do need to be a bit careful about how you store/pack it during travel. I really do enjoy the cover design, it's pretty (hehehe) and rather edgy, if I may say so. The inside houses ten shadows, with a mixture of finishes, and a good-sized mirror, which makes it good for travel, and application on-the-go. As you can see, there are plenty of colorful shades, interspersed with a few neutral shades. Dainty - a matte pale pinky-beige. Charming - a deep matte brown. This was slightly dry in texture compared to the rest of the shadows. Girly - a warm, orangey-brown with a green duochrome. My favorite shade in the palette! Totally Fetch - a pearl bright blue-toned pink. Miss Sparkles - a matte black with silver sparkles. (I don't like glitter, so this is my least favorite shade). Ringleader - a shimmery peachy-pink. Gangsta - a shimmery warm medium brown. Instigator - a bright, metallic yellow gold. Badass - a shimmery dark blue-violet. Jailbird - a bright, metallic silver. This is a great palette, especially if you want more colors in your arsenal. 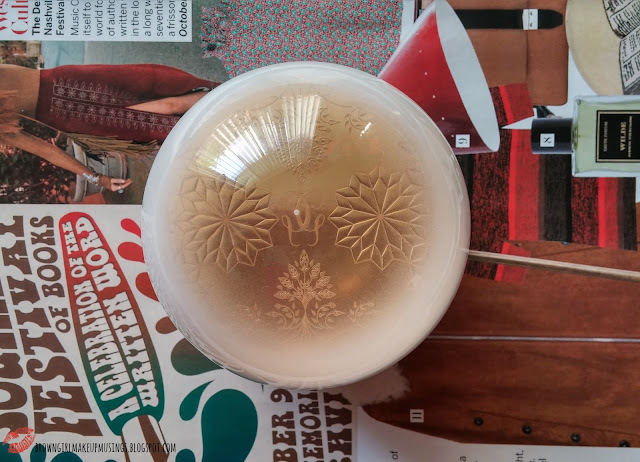 The quality is superb, there's minimal fallout (with the exception of Miss Sparkles), and the shadows wore a good 8 hours on my lids before showing signs of fading (over a primer, of course). I absolutely love Girly, Ringleader, Gangsta and Instigator (I just realized that they're the neutral shades in the palette, go figure!) but I've enjoyed wearing Totally fetch and Badass on my lower lashline for a pop of color during the day. Jailbird makes a stunning inner corner highlight, and Dainty is a fabulous browbone highlight. If you like rick, vibrant, shimmery/metallic shadows, this is the palette for you! I still have this thing against pre-made palette. 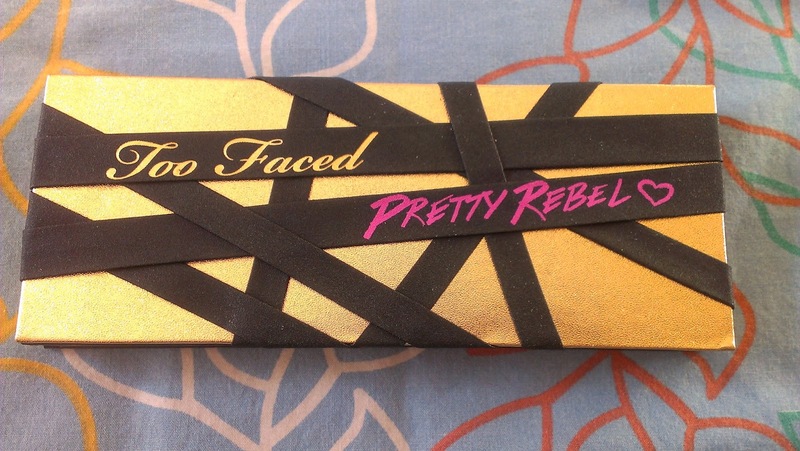 But have you seen the two faced chocolate bar palette? I WANT THAT. Boo, neither country has it :( Oh well. I might take you up on that offer :o thank you! 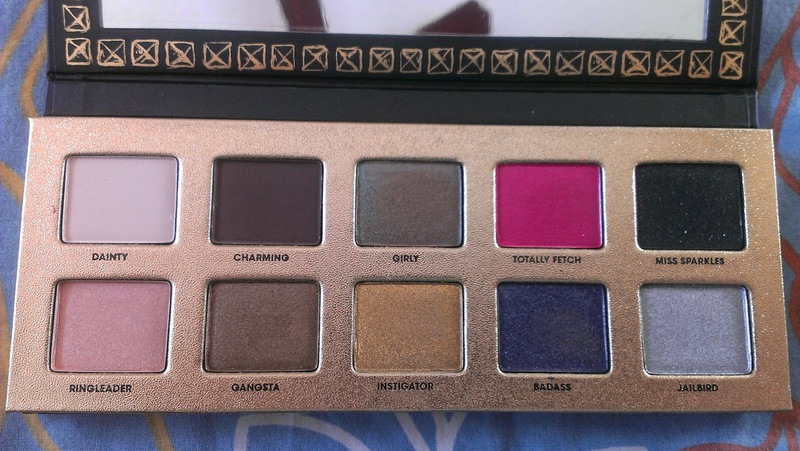 I saw this in a Sephora when I was in Paris...I swatched Miss Sparkles and nearly had a heart attack at how incredibly pigmented it was and how well the glitter stayed in it...I swatched the other colours and fell in love...and then I left without it to go back to a country where Too Faced isn't a thing :-( The curse of Hoards Un-Raided!